If you find a worm in your homegrown apple, it's probably not a worm but a codling moth caterpillar. Codling moths are about 1/2 inch long, with gray wings over their bodies like little tents. The larvae stage is often found inside pears or apples, and their numbers can be dramatically reduced using homemade traps. A codling moth infestation can be reduced if you get an early start. Moth populations that have built up over a couple summers are difficult to control; the most effective non-chemical treatment includes sanitation (cleaning up all infested fruit and tree litter), moth trapping and trunk trapping. Collect 1-gallon plastic milk jugs and enough rope or cord to hang 3 traps in each tree. Mix in each milk jug 1 cup cider vinegar, 1/3 cup molasses, 1/8 tsp. plain ammonia, and enough water to make 1-1/2 qt. of liquid for each jug. Using a sharp knife, cut a 2-inch hole in the jug just below the shoulder for the codling moth entrance. Leave the cap on the jug and hang it in the tree. University of California Davis Pest Management recommends using a wide strip of cloth over the tree branch to protect it from the weight of the trap. Some gardeners have tried a twist on the standard recipe, with good results: Add a banana peel to the jug with the liquid mixture. 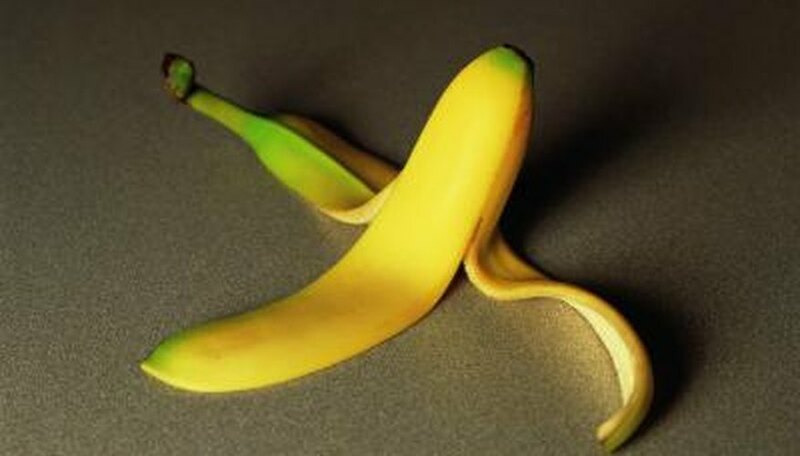 Try both and see if your results differ with a banana peel trap. Codling moth traps should be hung in early spring as soon as the weather warms up. Hang them as high as possible in the tree. Rigging a pulley will help in large trees--just loop a rope or sturdy cord over a high branch, long enough that both ends hang to about 3 feet off the ground. Knot the ends together and tie the trap to the knot. Pull the codling moth trap to the high branch and tie off the end of the loop to a low branch. Check the trap every week, or for a heavy infestation, check it daily. Remove the dead moths and stir or replace the liquid bait. Cardboard bands fastened around the trunks will act as pupation sites to trap the codling moth larvae. According to the University of Kentucky Entomology Department, cardboard strip of 4 to 6 inches wrapped around the tree trunk or major limbs will attract larvae. Fasten trunk traps to your trees in August and remove and destroy them in December. The Ohio State Extension Service recommends scraping the bark to remove any loose pieces before fastening the cardboard strips to your tree.